Last year we reviewed the PowerLung, an effective device that gives your lungs a workout and improves lung capacity, oxygen intake, shortness of breath, etc. We discussed how they work, benefits, and why PowerLung is superior to their competitors. We continue to receive questions from our customers about specific competing models, so here we are providing a more in-depth look at Powerlung vs. others on the market such as UltraBreathe, Expand-a-Lung, SportsBreather, PowerBreathe, etc. PowerLung is completely different than the majority of these devices. The PowerLung works based on threshold resistance while most the competing units work based on restrictive resistance. The restrictive resistance models have shown to provide no benefit to the user, and can even cause negative effects. In addition, PowerLung works both your inhale and exhale muscles. Breathing improvement devices such as SportsBreather (formerly “The Breather), UltraBreathe, and Expand-a-Lung use restrictive resistance. We can keep this simple, because it really is: Imagine breathing through a straw, that’s all it is. These devices may look fancy because you can adjust the opening, but you could achieve the same effect by using different sized straws. In fact, the inventor of Expand-a-Lung said himself in Swimming Technique Magazine that “they take any pipe they can find, cap it, put a mouthpiece on it and put a pinhole through it… mine is no different…”. In a study of COPD patients, Cedars-Sinai Medical Center and the University of California found you may not get any benefit from these types of devices even if you increase the amount you use it and even it you decrease the size of the opening. This peer-reviewed study was conducted by Michael J. Belman, MD, and published in 1990. So, for devices that use restrictive breathing, you can do it yourself free. it is called whistling. While you may be able to carry a nice tune, it will not improve your breathing function any more than these models will. PowerLung uses threshold resistance, which is similar to lifting weights. The weight creates resistance, forcing your muscles to work in order to move them. The more you lift weights, the stronger your muscles become. This is virtually identical to what you are doing with PowerLung, your breathing power is forcing the movement of the mechanism of the device. Independent studies have demonstrated the effectiveness of threshold resistance in improving breathing. With threshold resistance, you are moving something with your muscles, not just blowing air. 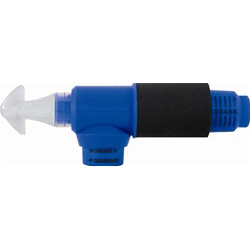 There are other units on the market that use threshold resistance, like the PowerBreathe. However, unlike the PowerLung, these devices only work your inhale muscles. You may breath in and out of them, but when exhaling, there is no resistance. PowerLung works both the inhale and exhale muscles of your lungs, and the resistance may be easily set differently for each. Unlike others, PowerLung is made in the USA, comes with a DVD guide, and carrying case, and has toll free phone support. In addition, PowerLung is the only device on the market with independent testing that indicates a 25% increase in lung capacity and a 20% increase in respiratory power. Keep in mind that many other device manufacturers may site research studies, but in virtually all cases these studies were not independent and were performed by the manufacturer. We highly recommend the PowerLung line of products, and hope that you contact us if you have any questions. Click here to see the Powerlung on Amazon! Full Disclosure: We could be accused of being biased, as we sell the PowerLung line on through our ecommerce channels, but we have been approached by several of their competitors and declined carrying their models because they either don’t work at all or they don’t work as well. I heard that combined expiratory and inspiratory muscle training is less effective than inspiratory muscle training alone – do you have any research that shows otherwise? I also heard the POWERbreathe is available free of charge through the national health service in the UK – surely they must have independant research in order to get this approval? I also understood (with my limited knowledge) that lung capacity is determined by genetics and would not be affected by inspiratory muscle training – can you explain the mechanisms by which powerlung is able to change the size of your lungs? And finally (forgive me for going on), oxygen uptake is limited by the cardiovascular system, not by gas diffusion (except in some exceptional athletes), so how can powerlung improve this. Dave, Thank you for your thoughtful input. I have a feeling that your knowledge is not quite as limited as you mentioned based on your email address 🙂 Anyhow, it is nice to know that our blog is widely read, and I am happy to answer your questions the best I can. Regarding inhale vs. exhale lung exercise: While PowerLung exercises both, Powerbreathe only functions on the inhale. While the user exhales through it, there is little or no resistance. Our understanding is that there is a significant improvement in lung exercise when both inhale and exhale are trained. We take this information from independant studies such as one published in 2005 in Current Opinion of Pulmonary Medicine that you can download here: Respiratory muscle training in chronic obstructive pulmonary disease: inspiratory, expiratory, or both? Yes, I am aware of conflicting studies that indicate little advantage to exhale training. We are not familiar with the selection process of the UK National Health Service, but I would asume that because Powerbreathe is made in the UK, it factored into their decision (PowerLung is made in the USA). Regarding Lung Capacity, studies conclude an increase in tital volume (PowerLung claims 25% increase). For example, a study published in 2001 by William Amonette, BS, CSCS and Terry Dupler, Ph.D. at the University of Houston-Clear Lake indicated “The data revealed that training using the Powerlung device produced significant changes in maximal VE, maximal VT, and submaximal VE.” – Maximal VT (tidal volume) being what we are interested in when discussing lung capacity. I am not quite sure of your last question regarding oxygen uptake. I believe that you are refering to VO2 Max, which is the maximum capacity of a person’s body to utilize oxygen, which was not discussed in the review. If I were new to this technology, it would come down to Powerbreathe and PowerLung in choosing what equipment to use in lung training. Both are the only units I know of that use threshold resistance. However, the inhale/exhale function of PowerLung, which is not available in PowerBreathe, plus the support materials that come with PowerLung (DVD, toll-free support, etc) would clearly put PowerLung above. My interpretation is that this paper favours inspiratory muscle training alone rather than combined inspiratory and expiratory training. It’s also worth noting that the POWERbreathe also comes with a DVD. Fortunately, the PowerLung provides expiratory muscle training. What about “the original Breath Builder(TM) invented,developed and patented by the late Harold Hanson of las vegas !”Inhalation/ exhalation respitory muscle training . a simple device 6in plastic cylinder tube with a ping pong ball inside, 3 different size holes on top for resistance and comes with 2 size mouth pieces for Brass or woodwind instruments.easy to use and less expensive it takes14 oz of pressure to blow the ping pong ball to the top”.Everyone should have one”ref. ARNOLD JACOB/WINDSONGPRESS? The Breath Builder uses restrictive resistance: “3 different size holes on top for resistance”. This is covered in some detail in the post above with the conclusion that it is inferior based on the Belman study. Couldn’t you actually get similar results say with a balloon? Ah… no. A balloon would only provide exhale resistance. However, I do think it would be better than the straw/hole design units. Not sure if this thread is still active but thought I’d try my luck. With the restrictive resistance concept, the physics is relating to Boyles law (relating pressure and volume). I am not as sure what threshold resistance is referring, the only thing that makes sense is something mechanical like a diaphragm moving?? P.S: I am not a chemist or physicist, just think in mechanical terms. PowerBreath is university developed, validated by extensive research, approved as a Class 1 medical device, approved for free prescription by the UK National Institute of Clinical Excellence, and supported by excellent training materials, a book for end users and a textbook for clinicians. 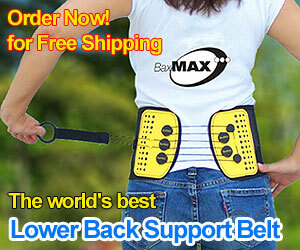 It’s widely used in clinical settings, and by some of the most successful elite athletes in sport. You really shouldn’t have bundled it together with the fakes. The team that developed the Powerbreathe don’t believe that traning exhalation is beneficial, as they explain in their writings. If there is a benefit it would be marginal becuase, as you say, the evidence is at best contradictory.